Time has been called by Trading Standards officers on more than £10,000 worth of counterfeit alcohol, cigarettes and designer clothes seized in the past three years. 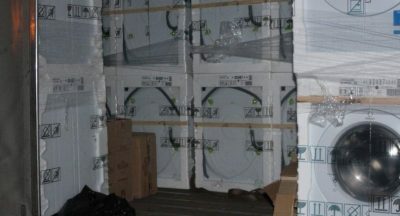 Lawrence Eldridge, who supervises investigations for Buckinghamshire and Surrey Trading Standards, said the goods to be disposed of had either been seized during operations, forfeited after successful prosecutions, or signed over to investigating officers by co-operative traders. Where possible goods will have the fake brands removed so that they can be re-used through charities. Where that isn’t possible, or something is dangerous, the goods are destroyed.